For the love of planes, trains, and automobiles to get our mail from one place to another. In honor of postal carriers fighting the elements to deliver our happy mail to your mailbox! 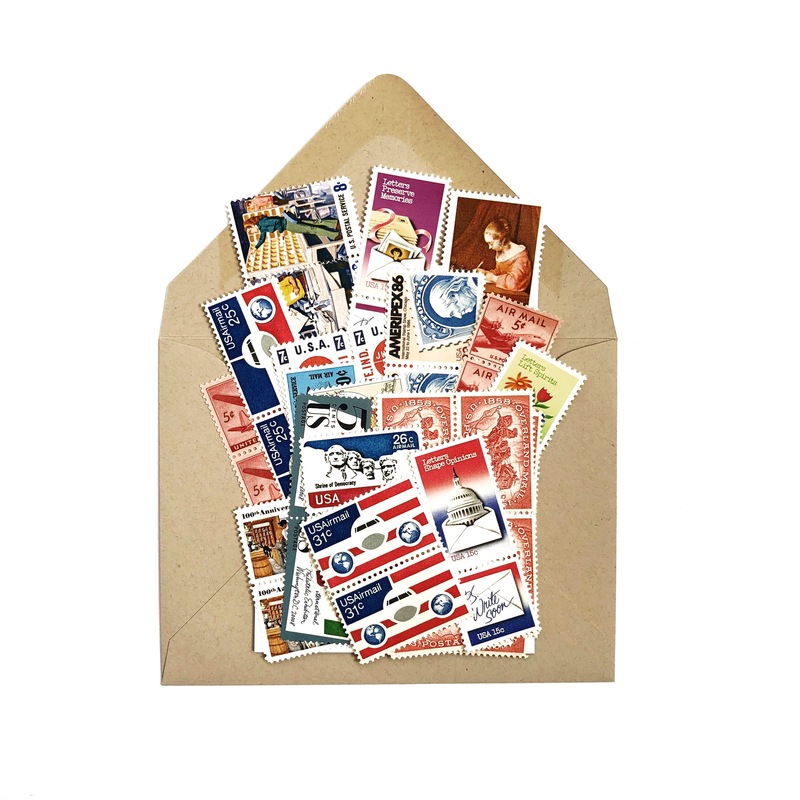 This collection of vintage postage stamps (with a face value of $5.25) is a must have for letter-writing far and wide. Includes FREE US shipping.